The Utah Division of Wildlife Resources said in a report that laboratory results confirmed that the virus was responsible for the deaths of 27 bald eagles over the past few weeks. State wildlife officials announced Tuesday that a rare seasonal outbreak of West Nile virus is to blame for the recent spike in deaths of iconic bald eagles across northern Utah. “It’s actually very surprising that this is the conclusive result,” Leslie McFarlane, wildlife disease coordinator for the Utah DWR told NBC News. Officials were not certain how the eagles contracted the virus, but said they believe they may have been exposed by consuming infected eared grebes, a member of the grebe family of water birds, that recently died on Great Salt Lake. The disease usually affects birds during warmer months, when the mosquitoes that carry it are active, according to the report. 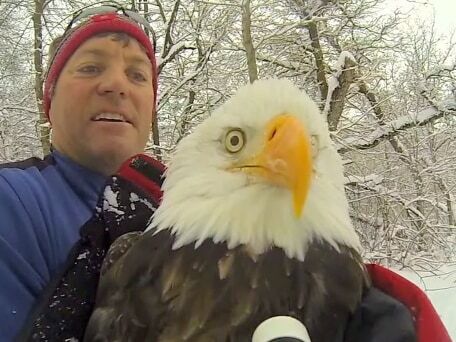 McFarlane said that in winter, bald eagles obtain most of their food by eating dead animals. Since all of the dead eagles had been within flying distance of the lake, that led to the hypothesis that the eagles could have contracted West Nile virus after eating grebes that died at the lake from the same disease. Testing of the grebes is ongoing, she said. 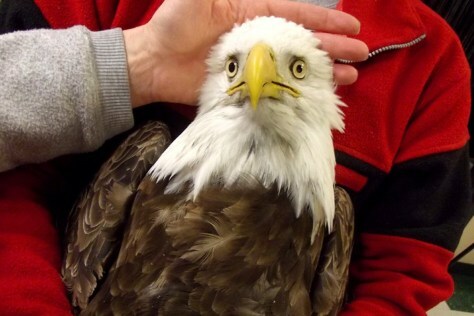 The report said testing of the eagles at the Utah Veterinary Diagnostic Laboratory in Logan, Utah, and the National Wildlife Health Center in Madison, Wis., “definitively ruled out many other possible causes of death," including toxic chemicals or poisons, lead poisoning, bacterial infection and other viruses. 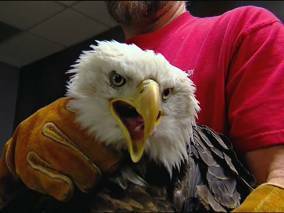 McFarlane told NBC News that the DWR currently knows of 27 bald eagles that have died from the disease, with five others being treated using supportive care for West Nile. “They’re responding well,” she said. Due to the nature of the outbreak and the fact that not all of the birds died at the same time, McFarlane said it took about a month to fully determine what caused the deaths. She added that between 750 to 1,200 bald eagles visit Utah in winter and the deaths have not had a major impact on their population. “We don’t think that this outbreak is going to affect the local population negatively,” she said, adding that she did not believe it would affect the national population either. JoDee Baker, epidemiologist with the Utah Department of Health, said in the DWR report people do not need to be concerned about the outbreak, as the dead grebes and dead eagles do not pose a risk to people.